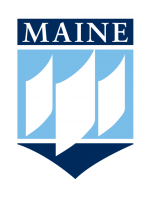 2019 UMaine Student Symposium (UMSS19) Sponsorship Information. Select the desired sponsor level and enter the required information. You will be contacted within 2 business days to confirm your chosen payment method. For more information on UMSS19 sponsorship details please email Jami Downing at jami.downing@maine.edu or call 207-581-2432. This event allows for unique opportunities to network with student researchers, faculty, legislators, professionals, and community leaders. It’s a way to learn of the research/ creative activity being performed at UMaine relevant to your organization’s needs and interests. Sponsorships will provide financial support for student awards, an event luncheon, receptions, and networking breaks, among other areas. Face-to-face engagement with potential employees and future community leadersvent allows for unique opportunities to network with student researchers, faculty, legislators, professionals, and community leaders. It’s a way to learn of the research/ creative activity being performed at UMaine relevant to your organization’s needs and interests. Sponsorships will provide financial support for student awards, an event luncheon, receptions, and networking breaks, among other areas.